Optical fibers enable the internet, and they are practically everywhere: underground and beneath the oceans. Fibers can do more than just carry information: they are also fantastic sensors. Hair-thin optical fibers support measurements over hundreds of km, may be embedded in almost any structure, operate in hazardous environments and withstand electro-magnetic interference. Recently a major breakthrough in optical fiber sensors facilitated the mapping of liquids outside the boundary of the glass fiber, even though guided light in the fiber never reaches there directly. Such seemingly paradoxical measurements are based on the physical principle of opto-mechanics. The propagation of light, in and of itself, is sufficient to induce ultrasonic waves in the optical fiber. These ultrasound waves, in turn, can probe the surroundings of the fiber, similar to ultrasonic imaging that is common in medical diagnostics. The analysis of liquids outside km of fiber was reported independently by researchers from Bar-Ilan University, Israel and EPFL, Switzerland. The results obtained to date all suffered, however, from one major drawback: the protective polymer coating of the thin glass fiber had to be removed first. Without such protective coating, or “jacket” as it is often referred to, bare fibers of 125 micro-meters diameter do not stand much chance. One cannot consider the application of kilometers-long, unprotected optical fibers outside the research laboratory. Unfortunately, the standard coating of fibers is made with an inner layer of acrylic polymer that is extremely compliant. The layer completely absorbs ultrasonic waves coming out of the optical fiber, and keeps them from reaching any media under test. The presence of coating represents one more barrier that the sensor concept must overcome. The solution to this challenge comes in the form of a different, suitable coating. Commercially-available fibers can also be protected by a jacket made of polyimide. The specific material was originally proposed for protecting the fiber at high temperatures. However, recent studies at Bar-Ilan and EPFL have demonstrated that the polyimide coating also provides transmission of ultrasound. 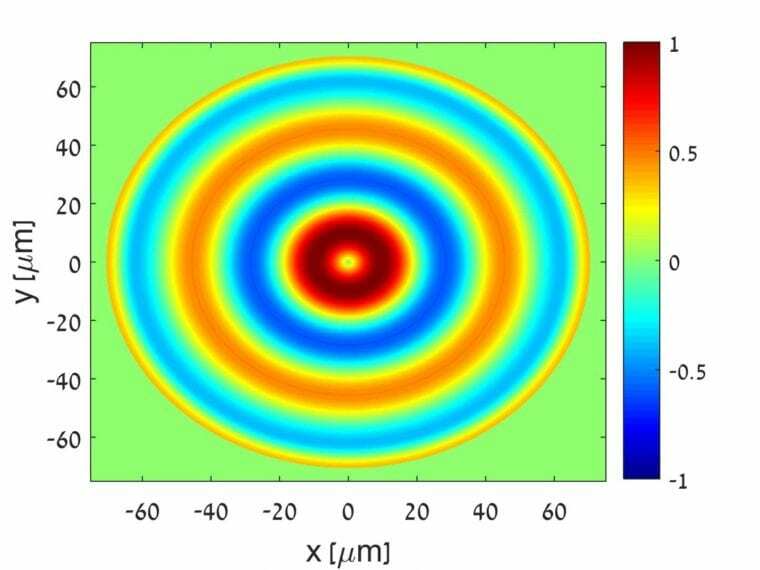 The consequences are significant: researchers at Bar-Ilan University report in a new article published in the journal Applied Physics Letters– Photonics that they are now able to perform opto-mechanical sensing and analysis of media that lie outside protected fibers, which can be deployed in proper scenarios. Despite this added difficulty, the mapping of liquids outside coated fibers has been demonstrated experimentally. The group achieved sensing over 1.6 km of polyimide-coated fiber, which was immersed in water for most of its length. A 200 meter-long section, however, was kept in ethanol instead. The measurements distinguish between the two liquids, and properly locate the section placed in ethanol. The results represent a major milestone for this up and coming sensor concept. “One possible application,” says Prof. Zadok, “is the monitoring of irrigation. The presence of water modifies the properties of the coating. Our measurements protocol is able to identify such changes.” Ongoing work is dedicated to improving the range, resolution and precision of the measurements. The research was funded by grants from the European Research Council (ERC), the Israel Ministry of Science and Technology, and an Azrieli Fellowship to H. Hagai Diamandi.